1. Attach humidification device and hygrometer where desired inside the box first because sticky surfaces don't stick well to moist wood. 2. You will need a jug of distilled water and a clean sponge. Wet the sponge with the water and completely wipe down the inside of the box. The box needs to be wet, but not dripping wet. After wiping the box down, let it sit for thirty minutes. 3. After thirty minutes has passed, wipe the box down a second time. 4. Let the box sit for thirty more minutes, then wipe the box down for a third and last time. Place a plastic bag on the base of the humidor on the inside. Place the sponge on the bag to keep it from warping the wood. Shut the box and let it sit for twenty four hours. 5. After twenty four hours, take the plastic bag and sponge out, wet the humidifier in your humidor, and place your cigars inside. 6. 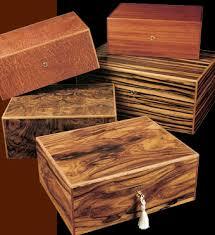 You now have a working humidor. You should touch the humidifier up with distilled water or propylene glycol solution once a week. 7. 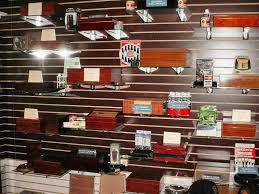 As you continue to collect cigars, consider buying a digital hygrometer to be sure of the conditions in your humidor. **Propylene Glycol and Digital Hygrometers are available in the Accessories section of the website, and of course you can call us for help anytime.